Your chance to own 2 for 1. 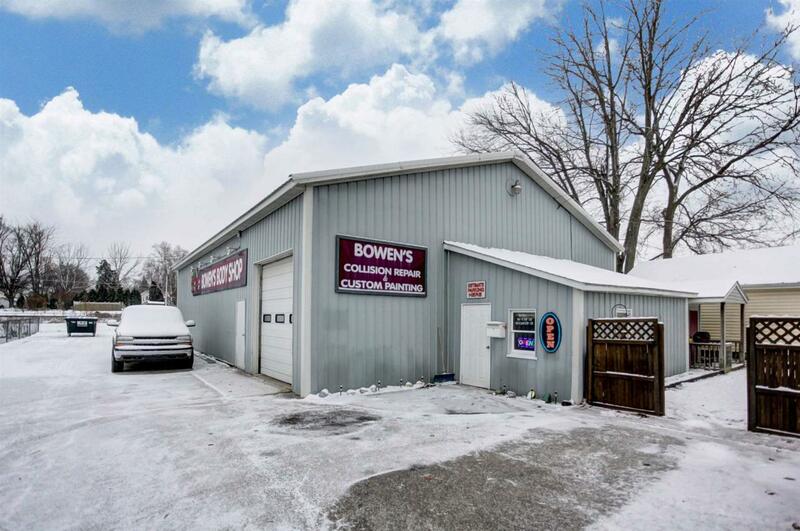 This body shop has been operating for 30 years in a great location in Kendallville. The garage is over 2600 square feet with its own built in down draft paint booth! There is also an office space, bathroom, storage room upstairs, and paint room. The lift and 360 degree rotating boom are included as well along with two 80 gallon air compressors with lines ran. This property also includes a 4 bedroom 2 bath home of over 1700 square feet. The possibilities are endless. Run a business, rent the house out for two incomes or settle in for your own dwelling right next to your business!